It’s a beautiful day in the neighborhood! Please come along with us, Daniel Tiger and his friends as we explore creative ways to weave social and emotional learning into your classroom. This virtual professional learning adventure is designed and led by fellow educators, and is the third in our four part ‘Learning with Littles’ series for Pre K-2 educators. The hour-long session will highlight exciting resources and models that can immediately be implemented in the classroom. 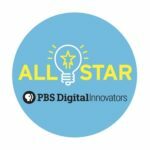 Led by PBS Digital Innovator All Stars Ashley Judd and Mallory Mbalia, this session is one that you do not want to miss. We’ll specifically focus on demonstrating empathy and perseverance, and other behaviors that those of us in PreK-2 classrooms will readily recognize! Click here to download your certificate of attendance. Teachers! We’re excited to invite you to a live discussion with illustrator, animator, writer, director and producer, Joe Murray, who created the new PBSKids hit, Let’s Go Luna. You’ll recognize Joe’s previous work as creator of “Rocko’s Modern Life” and “Camp Lazlo.” Together with on staff anthropologist Erik Messal and cultural advisors from more than a dozen countries, Joe has a developed a fun, sweet, irreverent way for even our littlest learners to travel the world and develop global awareness. Designed by educators, the ‘Learning with Littles’ professional learning series for Pre K-2 educators provides ideas for how to responsibly integrate media into your learning environment. In addition to meeting Joe and other members of the Let’s Go Luna team, you’ll meet other educators, who will share teaching models and strategies to help you build a culturally responsive learning environment. Led by PBS Digital Innovator All Stars Elisabeth Bostwick and Mallory Mbalia, this session highlights exciting resources and models that can immediately be implemented in the classroom. 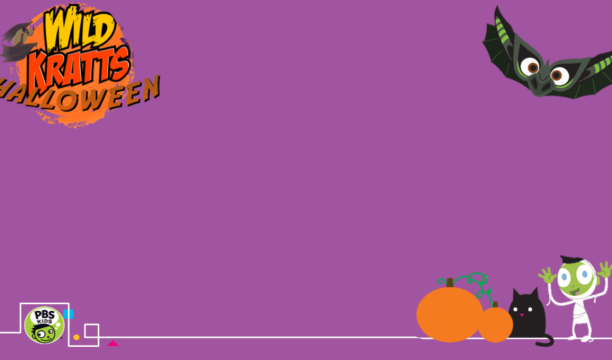 So join us, and come prepared with questions for producer Joe Murray for this interactive PBSKids “Live Learning” session. Click here to download your certificate of attendance! Led by PBS Digital Innovator All Stars Elisabeth Bostwick and Jared Morgan, this session highlights exciting resources and models that can immediately be implemented in the classroom. PBS will provide a certificate of attendance for the one hour virtual professional learning event.